Six months after a life-saving double lung transplant, the Pennsylvania girl whose parents changed the way the organs are allocated in the U.S. is growing healthy and strong — and she wants a Furby Boom for Christmas. 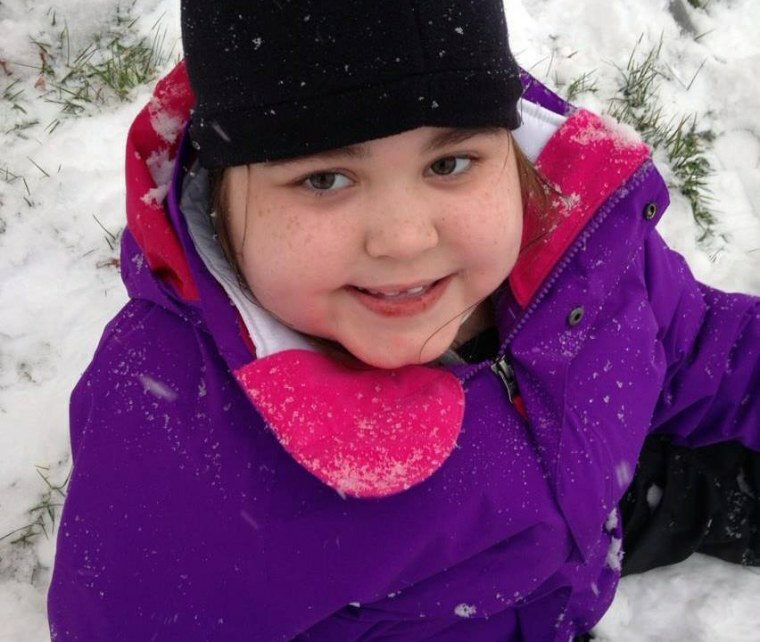 Sarah Murnaghan, 11, can breathe on her own and walk by herself for short distances. She speaks in a clear, calm voice, even on a day with a slight scare over too much congestion in her chest. “The morning was a bit rough, but I’m feeling a bit better,” she told NBC News by phone Friday. That simple sentence is priceless to Sarah’s mom, Janet Murnaghan, who, with her husband, went to federal court to force the Organ Procurement and Transplantation Network, or OPTN, to alter its rules and allow the child to be considered for transplant based on how sick she was, instead of her age. Sarah’s quest for a transplant was among the top health stories of 2013, raising questions of whether it’s ethical to change the way the nation’s scarce supply of organs is allocated based on the case of just one child. At the time, officials — including Health and Human Services Secretary Kathleen Sebelius — argued that such a request jeopardized the fairness of the overall system. “I would suggest, sir, that, again, this is an incredibly agonizing situation where someone lives and someone dies,” Sebelius told Rep. Lou Barletta during a Congressional hearing. Murnaghan said she’s still angry at that comment — and at Sebelius, who denied her daughter’s appeal. Since June, at least nine other children have requested exemption to the existing rules, which prevent kids younger than 12 from being considered for adolescent or adult lungs until those organs have been offered to the over-12 groups first. The Murnaghans successfully argued that the severity of a child's illness, not age, should be the key factor in being considered for the adult transplant list. Two of those 10 children received transplants under the OPTN exception, including Sarah, who got two sets of lungs because one failed. Three children received transplants from the original waiting list registration and four are still waiting, according to records from the United Network for Organ Sharing, or UNOS. There’s been no word on Javier Acosta, 11, who, like Sarah, had severe cystic fibrosis and was awaiting a lung transplant. Javier’s mother, Milagros Martinez, also sought a court order, but she has not responded to requests for comment from NBC News. Murnaghan said that the family is very private and doesn’t want to discuss Javier’s condition publicly. She wouldn't say whether he'd received a transplant, but she did say Javier is doing well. Still, one child who sought the exemption died while waiting, UNOS records showed. As of Friday, 1,650 people were waiting for lung transplants in the U.S., according to OPTN data. That includes 21 patients under age 10 and 39 ages 11 to 17. The OPTN exception, which is set to expire in June, has inspired new research — and renewed debate — within the pediatric lung transplant community. A paper published this month in the American Journal of Transplantation concluded that there was little difference in death rates or transplant rates for children ages 6 to 11 compared with teens or adults, based on an analysis of data from 1999 through 2011. Further, researchers found that the data submitted in the Murnaghans’ court documents used bad math to figure that death rates for children were far higher than those for adults. “These death rates were calculated incorrectly . . .” Dr. Bertram L. Kasiske of the Scientific Registry of Transplant Recipients and the Hennepin County Medical Center in Minneapolis wrote. Similarly, the transplant “success” rates were miscalculated, too, they said. In addition, the figures included deaths of children ages newborn to 5, who have much higher mortality because of the severity of birth defects and other problems, Kasiske said. Other pediatric lung transplant experts say that statistics alone can’t allay the concerns that Sarah’s case raised. “I think that this issue raised awareness that there may be circumstances where children like Sarah ought to be able to request an exception,” said Dr. Stuart Sweet, director of the pediatric lung transplant program at Washington University in St. Louis, who helped write OPTN’s original lung transplant guidelines. He wrote an editorial accompanying Kasiske's article. Indeed, the UNOS pediatric lung transplant committee has voted in favor of making the exception permanent and will present a policy statement for public comment this spring, with a final vote set for June, an agency spokeswoman said. Sarah’s case raises an even larger issue — the question of whether all lungs donated by children and teens ought to go to the youngest recipients first, Sweet said. As it stands now, more than 90 percent of lungs from adolescent donors, those ages 12 to 17, go to adults. Instead of putting more kids on a list to receive lobes from adult lungs, which have to be cut down to fit children, the entire system should change, Sweet said. "The best thing to come out of this hasn't happened yet," he said. "Maybe we should give all children access to pediatric organs before they're offered to adults." If that were to happen, Sweet said he and others would owe Sarah and her family a debt of gratitude. For her part, Janet Murnaghan plans to watch the process closely and to push for more changes in the organ allocation system. "I promise you, I'm not going away," she said. She says she knows she has been a lightning rod both for people who regarded her as a courageous mom and for those who think she was just trying to bend the rules for her own kid.